There are a lot of great books out there, though few as good as my new book, When Stones Speak. If you haven’t downloaded it on Amazon you really need to. While you’re enjoying When Stones Speak you might want to take a look at Barbara Tuchman’s, A Distant Mirror. It is a marvelous historical novel about Europe during the tumultuous 14th century. This two-time Pulitzer Prize winning author brings to life history like no one else can. Her descriptions of everything from the Hundred Years war, Black Plague and Papal Schisms to peasant uprisings are unmatched. A view of Coucy-le-Chateau while walking from the canal. 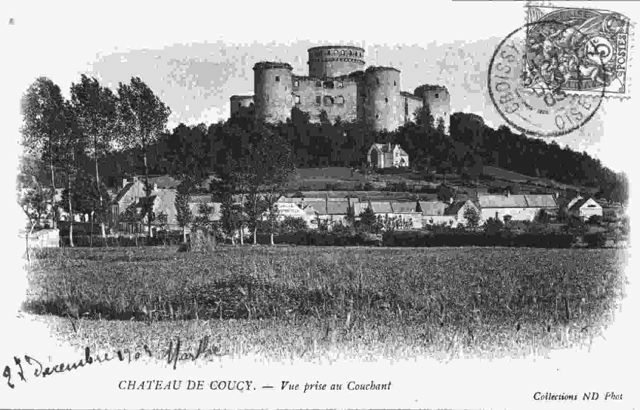 A postcard of the chateau taken prior to WWI. 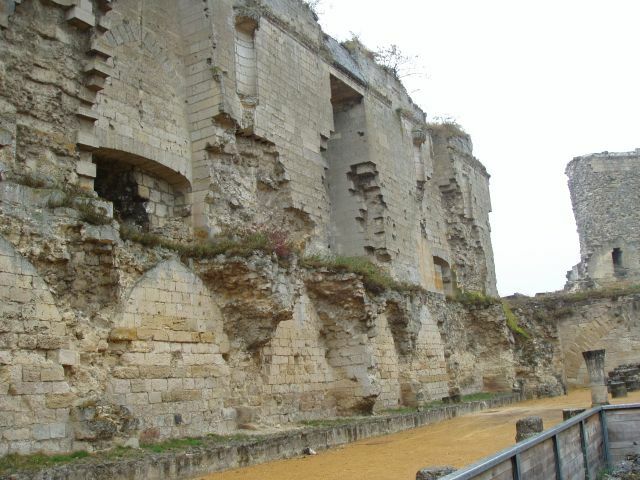 Some of the massive walls that protected the village of Coucy. 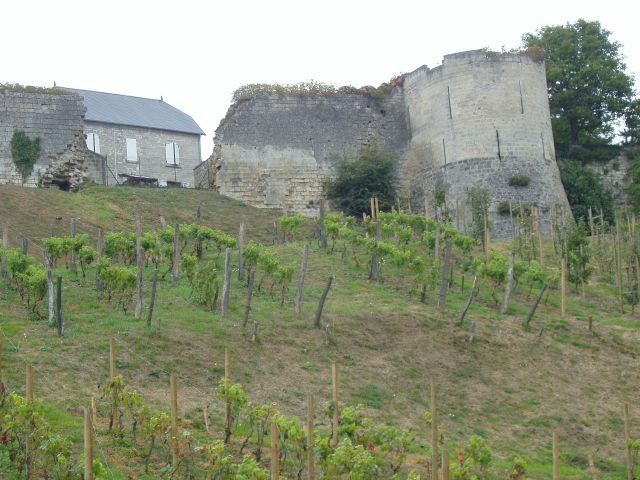 Situated on a hilltop overlooking the valley of the Oise River you could tell that at one time this was a special place. 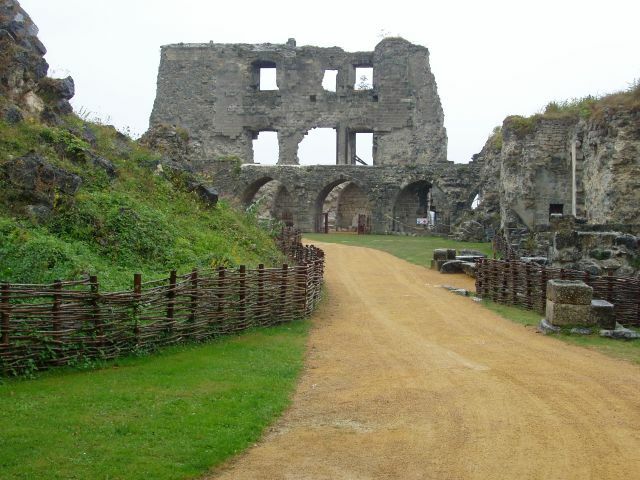 Unfortunately the ravages of time along with the Germans during WWI had left little of the original castle. 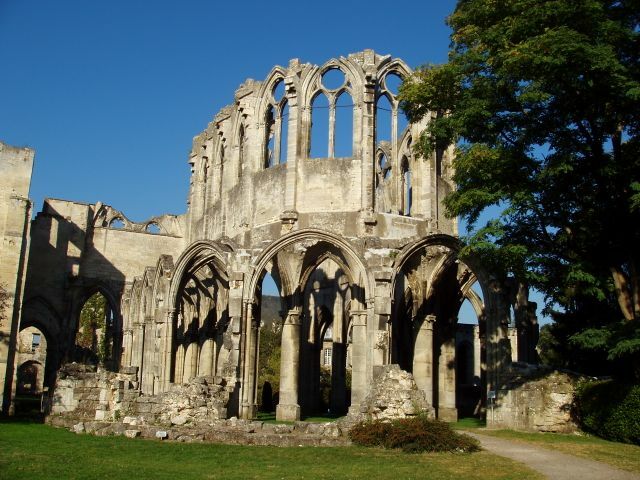 The Archbishop of Remis Herve started the first structure in 920. Through wars, murder and marriage Enguerrand VII, the last and most famous member of the Coucy dynasty ended up as lord of the castle. He was one of the most powerful men in Europe, and his castle was proof of that power. The donjon (Keep) was the largest in Europe measuring 35 meters in diameter (115 ft.) by 55 meters high (180 ft.). The Germans occupied the castle during WWI, and when they were forced out used 28 tons of dynamite to destroy the donjon. The great hall was also one of the largest in Europe, and crowned by a wooden roof that looked like an inverted ships hull. 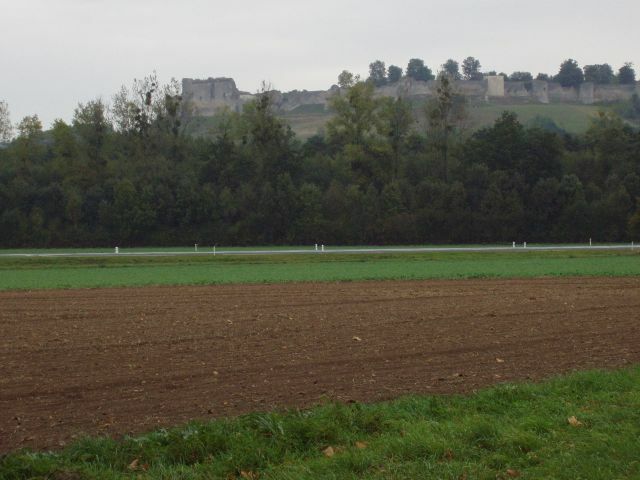 The hill on the left side of the image is all that is left of the donjon. Standing in the basement of the great meeting hall. Note the huge fireplace. The next day we cruised a few miles up the canal and stopped at Soissons. 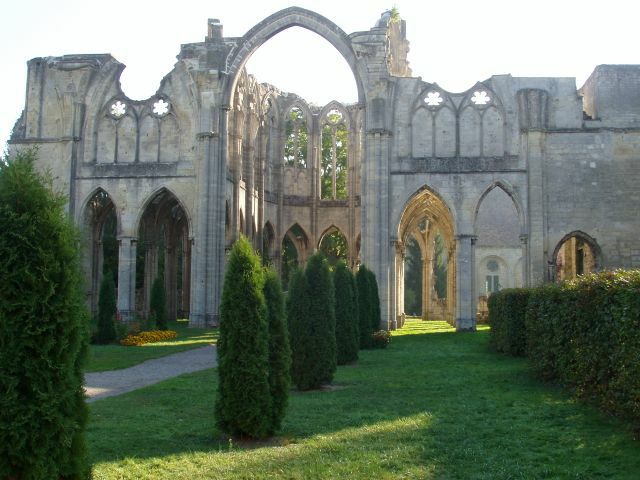 While exploring the little town we came across this magnificent ruin along the road in a park like setting. 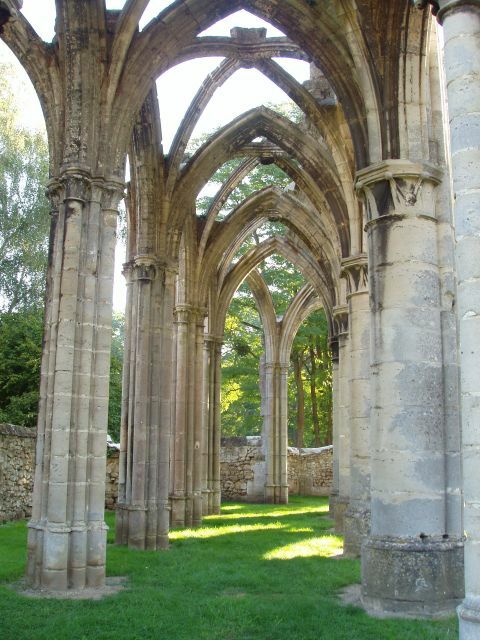 I believe it was an old abbey, and was amazed that it had been left unattended and open to the public. I was so nice to see that there wasn’t any graffiti on the ruins. Apparently even the kids of Soissons respect their heritage. These ruins were unattended and open to the public.